Muslim Rights: Pork products now BANNED from public schools. Students face fines for bringing pork from home. HOUSTON: Muslims rally in the streets Monday after new legislation will prohibit all pork products from public school cafeterias across the country. The new law also prohibits students from bringing pork products to school, which could leave the parents with a $100-$1000 fine (depending on state). The law will go into effect on 5/28. What do you think? Is this new law “American”? Or does it only strengthen our freedom and tolerance towards all? 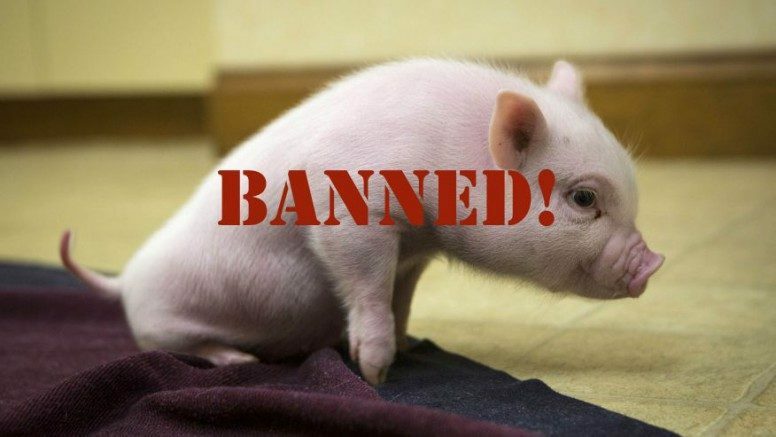 Be the first to comment on "Muslim Rights: Pork products now BANNED from public schools. Students face fines for bringing pork from home."